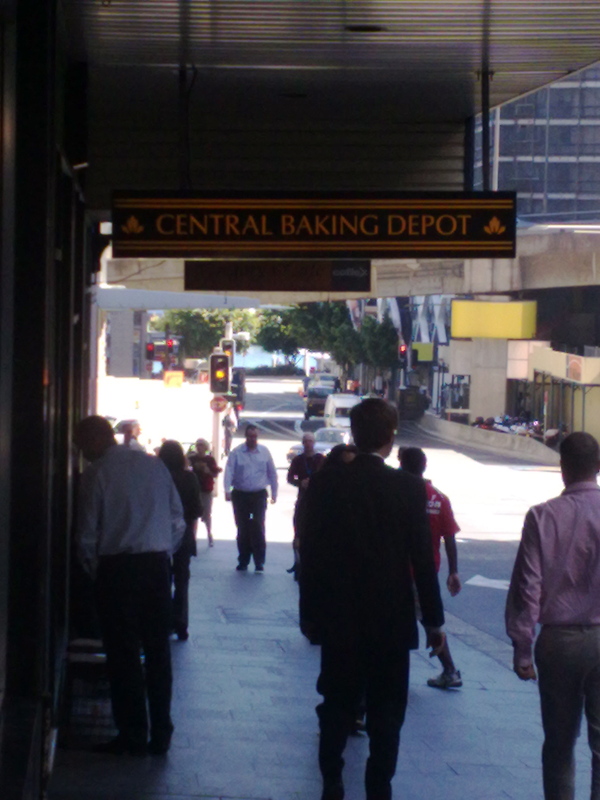 Mmm Baked goods…I love baked goods. 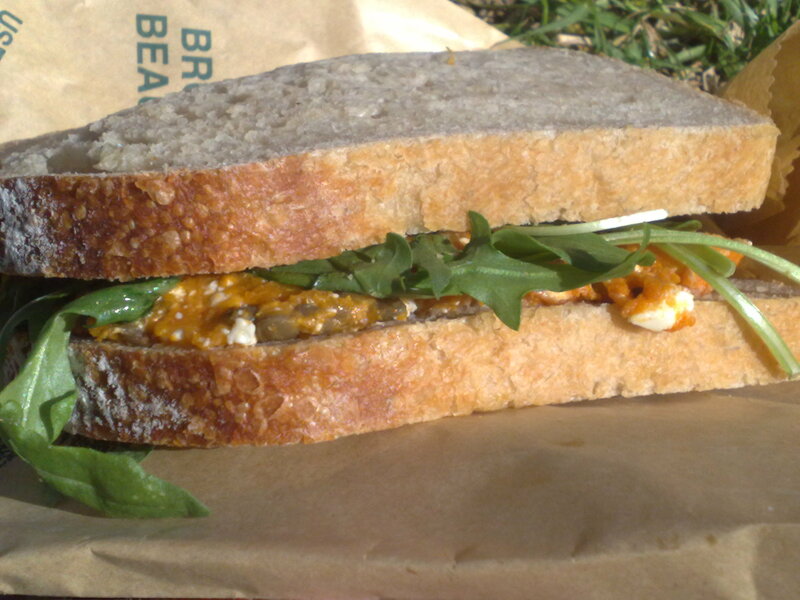 I love Bourke Street Bakery in Surry Hills. I love Le Pain Quotidien. 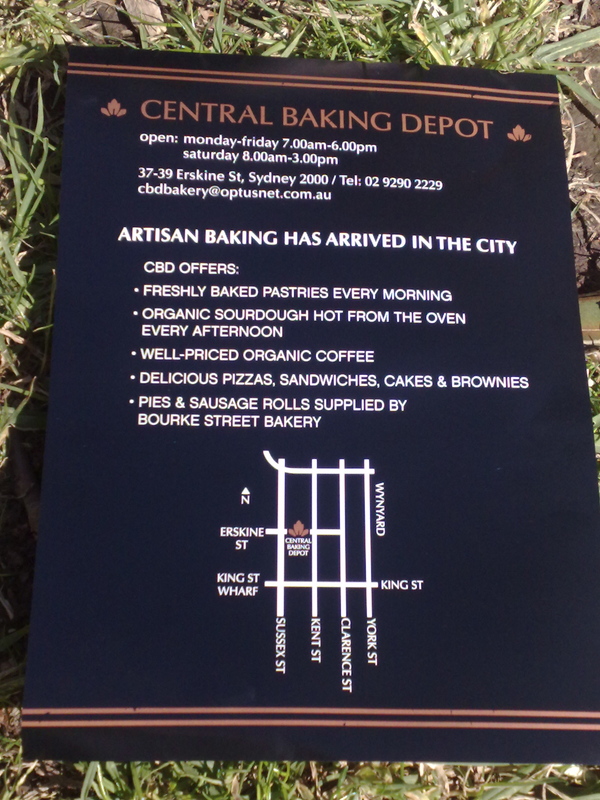 I love Christopher’s Cake Shop, again, in Surry Hills. 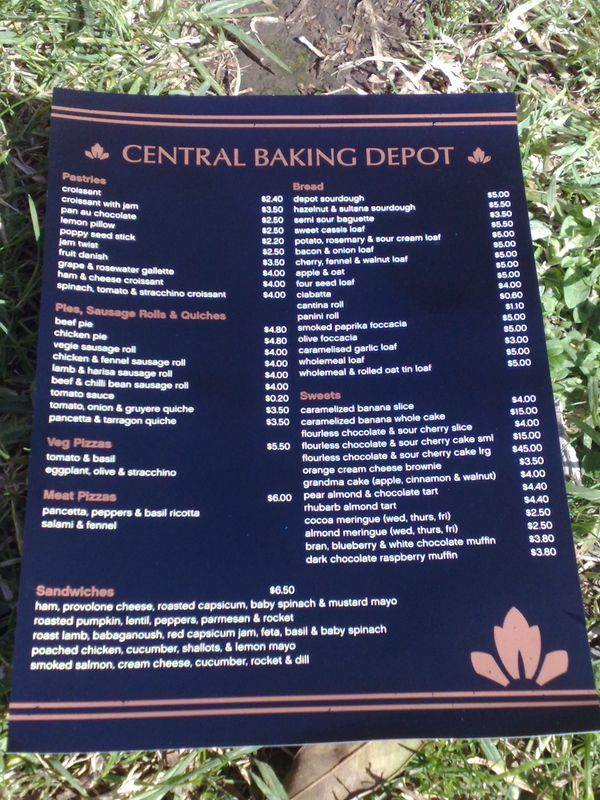 I now also love Central Baking Depot. A hop, skip and a block away from my office! The crew behind Bourke Street Bakery also supply this little place with delicious pies, sausage rolls and other tasty treats, while the in house staff also prepare sourdoughs and other items on the premises. They also do an afternoon bake so there’s loaves ready to take home in the evening. How clever are they!??? I have to admit that I’m a regular here (though I try not to be in concession to my waistline), but I can’t help but love this place. The noise, the queues (though fast moving) and not least, the food. The food!? Where do I start? Maybe with lunch? Today we grabbed a couple of sangers and headed straight for the sunshine of the park. 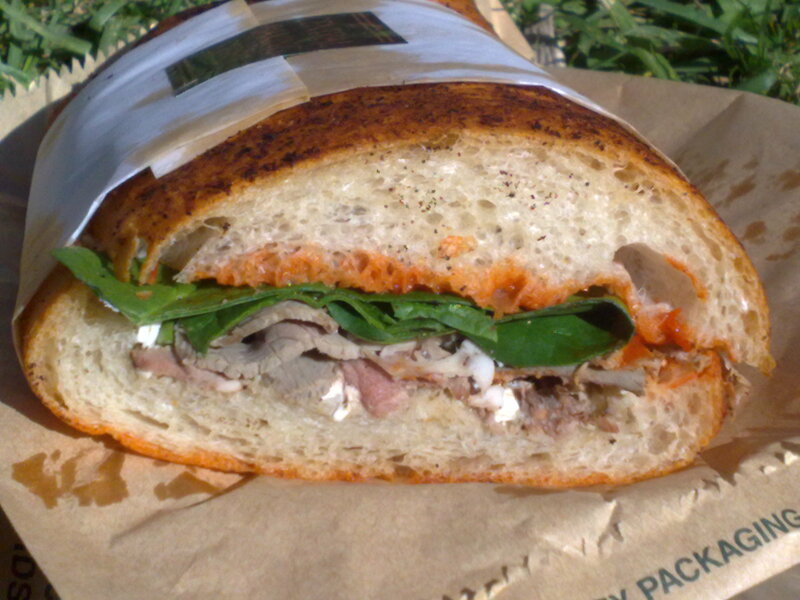 First up was the Lamb sandwich with babaghanoush, red capsicum jam, fetta, basil and baby spinach. It may not have had all this in it, but I’m sure it was close. It all varies on the day. All sandwiches are $6.50. 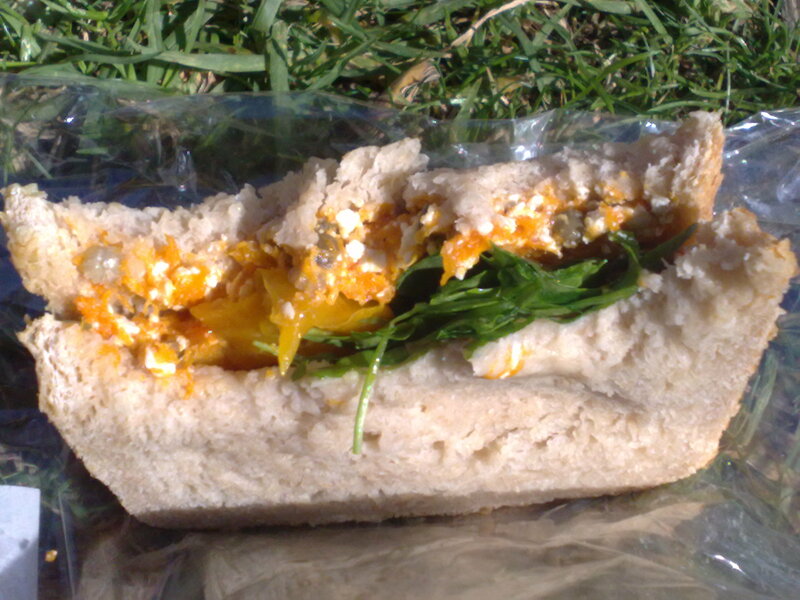 That’s right, gourmet sandwiches in the city for $6.50! Today we didn’t indulge in the flourless chocolate cake (to die for), the coffee (pretty damn good) the soup of the day (I last had tomato, it was very tasty and huge serving), pizza (you have to eat in and have it heated up) or any other of the treats they have hiding away. I’ve always meant to try their sandwiches as I’d heard they were good so thanks for your pictures 🙂 $6.50 for a sandwich that quality is a steal in this city! Must go back very soon…. I agree on the food, great bread, patisserie, etc. You come to the shop and just want to try everything!! But one thing you dont mention is how poor the service is. Unfortunately for me service is always on top of my list, especially in Australia where people are so nice, that when i get to a place and they dont smile, are unfriendly and even rude in this case, i really get frustrated. I wish they could improve that..